Your wedding is going to be a day that you remember the rest of your life. There will be many people who took the time to be a part of your special day, and they should be reminded how important they are to you. Don’t just thank your bridesmaids or maids of honour for taking part in the most important day in your life, show them how grateful you are for them being there with one of these 5 gift ideas for bridesmaids in your wedding party. 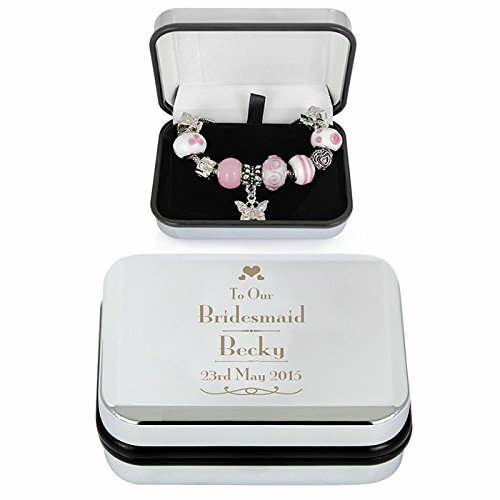 This decorative silver box not only comes with a stunning pink charm bracelet, you can personalise the box for each of the bridesmaids in your wedding party. Not only will she be reminded of that incredible day when she wears this amazing bracelet, the box is printed with her name and the date of the wedding too. The bracelet includes pink beads, butterfly clips, and fits a number of different wrist sizes. Your bridesmaids will definitely appreciate the time and effort you took to give them a keepsake of your wedding day, something they can wear each day or leave on their dresser as a reminder of your love and friendship for one another. When it comes to the perfect gift ideas for bridesmaids, these personalized chocolate bars will certainly be a huge hit with everyone. Not only are they made with delicious milk chocolate, the wrapper can be a keepsake of the wedding day. 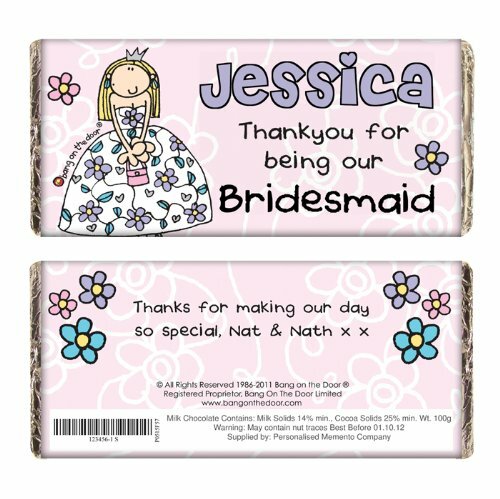 The front of the candy bar wrapper can be personalised with the name of the bridesmaid, while the back of the wrapper can have a loving message from the couple, thanking her for taking the time to be a part of their special day. These chocolate bars come with a cute drawing and colorful design that will melt the heart of your bridesmaids. Who doesn’t love chocolate, just the right size to indulge while being reminded of that incredibly beautiful day. This is one of those gift ideas for bridesmaids they will cherish for a lifetime. 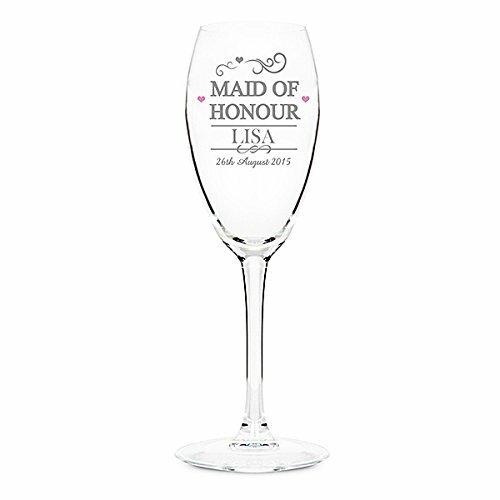 This personalised champagne flutes not only are printed with her name and the date of the wedding, it is a reminder she was an important part of the wedding party. These bridesmaid toasting flutes will look stunning in a china cabinet next to other glassware keepsakes, or looks stunning by itself on a shelf or dresser. The font and style of the lettering is exquisite, a keepsake they will proudly display in their home that goes with all other collectibles. When you are enough about the women who took time out of their busy schedules to be a part of the wedding festivities, you want to give them a gift from the heart that they can cherish for a lifetime. Vinyl records are certainly making a comeback as of lately, and when you want to give the bridesmaids something from the heart that is different than all the obvious choices, this is the perfect choice. Not only will she melt when she hears this amazing song that is sung by the daughters of some of the most popular singer of the 60’s, this is something she can hang on a wall or put on display to remind her of that special day. 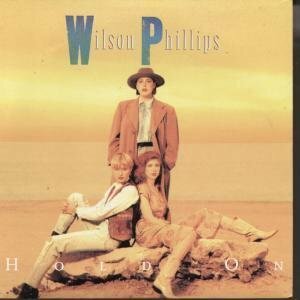 The harmonic melodies in this song are as beautiful as your bridesmaids on that wedding day. Looking for a wedding favour your bridesmaids will have a practical use for? 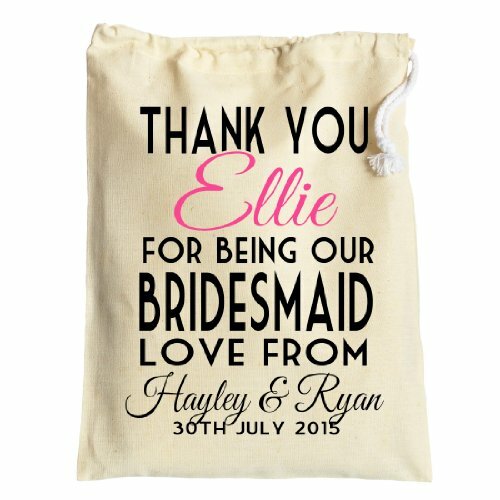 This cotton drawstring bag can be personalised with the name of your bridesmaid and has a number of practical uses. Now your bridesmaid can place some keepsakes from the wedding in the bag, your invitation to the wedding, anything to remind her of how honored she felt to be a part of your special day. Bag can be stuffed and placed in the corner of the room as a reminder of the love you share together. This is one of those gift ideas for bridesmaids that can be memorable and functional at the same time. Each bag not only has the name of the bridesmaid, is printed with the wedding date as well as the names of married couple too.